Q: What is the purpose of Darryl’s Program? A: Darryl is available to help people with a wide range of personal, career/work, and familial challenges. He focuses and gets to the heart of the matter. Darryl is very solution focused. Q: I have a dilemma. How do I call Darryl? A: First – Turn Your Radio Down. When Darryl comes on the line, be sure and turn your radio OFF. 1. Be sure to call between 4pm – 5:00pm ET (3pm – 4:00pm CT; 2pm-3:00pm MT, and 1pm – 2:00pm PT), Saturdays. 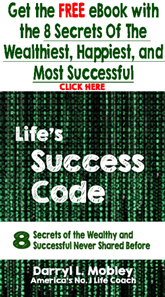 See the telephone number to call on the homepage of this website. Call from a land line phone, or get stationary with your cell phone. 2. Once you get through to the screener, be prepared with your question. Focus on the overall philosophical problem, not your specifics. Immediately, tell the screener how you expect to be helped by Darryl. 3. Write your question down so you do not forget while you are on hold. 2. Stick with your original story. 3. Don’t present on-going never-ending layers of problems. Q: I have a comment for Darryl, not a question. Do I call the show? A: The On-Air phone lines are for personal questions. For comments, fax Darryl at: 512-532-0886. He reads all faxes sent to him. There is no phone line to make comments. There is no guarantee your fax will be read on-air or given a response. Or you can email Darryl. Q:I have a topic/issue to bring to Darryl’s attention. What is the best way of getting it to him? A: The best way to bring topics to his attention is to fax Darryl: 512-532-0886. He reads all faxes sent to him. There is no phone line to make suggestions for topics or issues. There is no guarantee your fax will be read on-air or given a response. Or you can email Darryl. Q: What is Darryl’s fax number? A: Darryl’s fax number is: (512) 532-0886. Darryl reads all faxes sent to him, but there is no guarantee your fax will be read on-air or given a response. Q: Are there transcripts of Darryl’s daily program? A: No. Transcripts are unavailable. But you can join the free Darryl’s Club and listen to past shows. Click here to join now. Q: What is Darryl’s favorite musical group? A: We are surprised you had to ask. Darryl’s favorite group is Earth, Wind & Fire. He particularly likes their songs Shining Star, That’s The Way, and Get Away. Q. Is Darryl your real first name? Q. Where can I learn more about Darryl? Can I download pictures of him? A. Go here to learn more about Darryl and download his pictures. Q. Can I send an e-mail to Darryl? Will he read it? PR representatives, please see the next question. Q. Want to submit a PR news release or book review? *Do NOT send your book or other correspondence by registered mail or overnight because we will NOT get it. Q. 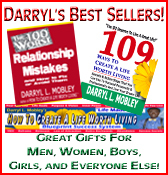 Do you wish to be interviewed on Darryl’s show? 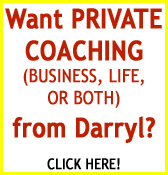 Are you an expert in some area of personal or professional development and you want to help Darryl help his listeners? A. Send your bio and ideas to Darryl by clicking here. Q. Can I put a link on my site to Darryl’s home page? A. Absolutely! Go here for images and coding to use for a graphic link. Q. Can I make Darryl my desktop wallpaper? A. Absolutely! Here are a few images to try out! Q. Can I reprint Darryl’s columns, tips or other articles? A. Yes. Read the Reprint Rules and fill out the Reprint Permission Request form. Q. I use my Hotmail account to get Darryl’s newsletter. Why don’t the links work? A. The problem is caused by the way Hotmail attempts to open the link. Avoid it by copying the link into a new browser window. Or, use a different e-mail service. Yahoo! Mail, for instance, doesn’t have this problem. Q. 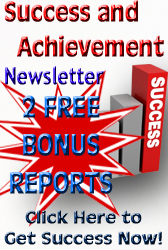 Have a question about Darryl’s newsletters? A. 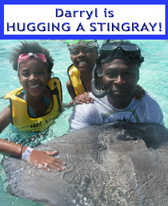 Did you miss one of Darryl’s newsletters? Need to change your e-mail address? Read the newsletters FAQ! Q. Where can I find Darryl on the radio? A. Use this map to find the Darryl Mobley Show. Q. Can I get Darryl to be my Life Coach? A. Darryl loves coaching winners! Click here to send him a request to be your coach. Q. Can I get Darryl to be my Business Coach? A. Darryl loves helping his clients increase their sales and profits via his Millionaire Small Business Club and the Association of Small Business Marketers. 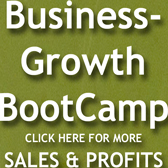 Click here to send him a request to be your business coach. Q. Why are cookies used on Darryl’s site? Q. Does Darryl endorse the Google ads in the Google ad boxes? A. No. Darryl does not endorse Google advertisers. Darryl only endorses products with which he is familiar. Most of the companies that advertise through Google—and their products—are not known to him. Q. If Darryl does not endorse the companies and their products, why does he run the ads? A. Producing Darryl’s free Web site is a massive undertaking. 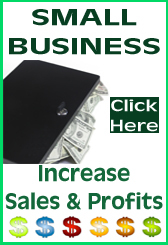 A huge amount of professional-quality information is generated weekly to fill it. The advertising is necessary to support the site. Q. Some of the ads seem misleading. Can’t they be screened? A. We kick advertisers off our site when our customers complain. Should you have a complaint, please report it here. Remember to include the full name of the advertiser and its Web address, if possible. We will remove ads with inappropriate or misleading content. Q. What is a podcast/Mobley Minute? How often will new podcasts/Mobley Minutes be posted? A. A podcast is a Web feed of audio or video files that is placed on the Internet for distribution. Many of Darryl’s weekly radio shows and daily Mobley Minutes are podcasted. Podcasts of the weekly radio show are available every Sunday at 7 p.m., Pacific Time. New podcasts of the daily Mobley Minute are available Monday through Friday at noon, Pacific Time. Q. How do I get the podcasts? Where do I get them? A. You must join Darryl’s Club to have access to the podcasts. You may sign up for the free Darryl’s Club by clicking here. Q. Do I have to have a portable player to hear the podcasts? A. No. You can download them to your computer. Play them with Windows Media Player or any other program that plays MP3 files. To do this, log into your Darryl’s Club account and click the Download Now button for the podcast you wish to hear. On the File Download pop-up box, click Open to run your default player or Save to save it to your hard drive. If you saved it to your hard drive, just double-click the file to launch your default player. You can also download iTunes and listen to the podcasts directly from that program. Q. What are the minimum requirements to get the podcasts? ATTENTION AOL USERS: You may need to open a new non-AOL browser window, as AOL can prevent listening to certain audio. You can use Microsoft Internet Explorer or Firefox. Make sure your Web browser and player are current before accessing the podcasts. Q. How do I transfer the podcasts to my portable device? A. Refer to the information provided by the device’s manufacturer. 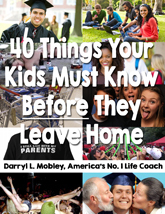 DISTRIBUTION OF ANY AUDIO CONTENT OWNED AND COPYRIGHTED BY DARRYL MOBLEY OR THE LIVE YOUR BEST LIFE RADIO NETWORK IS PROHIBITED BY LAW AND PUNISHABLE BY LEGAL ACTION.